Heart is a rock band which started in Seattle in the 1960s. 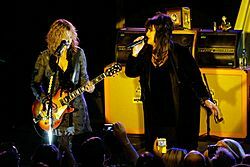 It became famous with the release of "Dreamboat Annie" in 1976 when the band-members were living in Vancouver. Heart (band) Facts for Kids. Kiddle Encyclopedia.